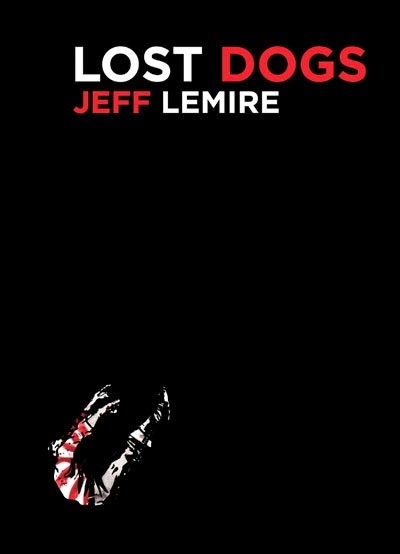 This absolutely has nothing to do with Marvel specifically but I finally read, (and subsequently can't stop thinking about), Lost Dogs, Jeff Lemire's first book. 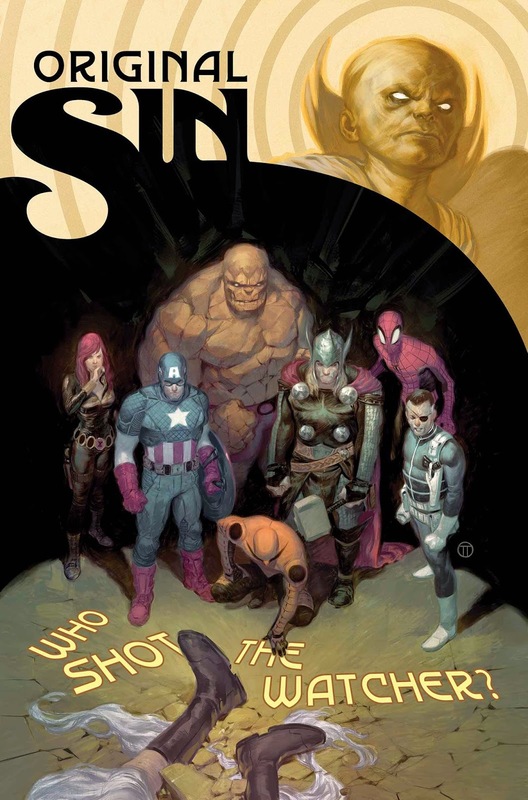 It was good but very heavy and oh so depressing, making it the first comic book I ever read where I had tears in my eyes when it was done and I felt like I needed a break or a shower or something. I read the introduction where he talks about how he was drinking a lot at the time and working long hours, not sleeping enough etc. which was a smart move by Top Shelf to tack on the front. It at least let me know why it seemed like such an angry book drawn in stark blacks, whites and reds and looking like it was scribbled by a madman. All of that sounds harsh, and it is to a degree, but, regardless of the bleakness, Lost Dogs IS a good book to read to see the emerging uniqueness that Lemire would bring to later works like Essex County and Sweet Tooth to name a few but it is not to be taken lightly and should NOT be a starting point for those interested in the Canadian who's toiling away doing some good work in the DC Universe right now. All of this information is suggested. Sometimes books get delayed, sometimes they get cancelled all together. Most of the time the trades will be available. Prices are also suggested and subject to change at the discretion of the shop owner or the publisher themselves. Three books this week with the Vision's name in the title from the marketing machine known as Marvel. I've always maintained it is smart business especially for a company that, I'm sure, is bringing new people in based solely on their big screen franchise. Out of the three I'd say this would be the one to get over the other's. 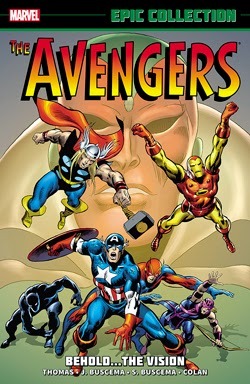 This features the debut of the Vision and covers two years of Avenging Action, including a battle with Ultron himself. It'll be interesting to see how much of this material makes it into the final movie. I'm sure Mr. Whedon had his hand's full with this one! Titan Mega Corp 2015. Simple theme. Powered by Blogger.